Given the number of helicopter rescues witnessed, it was only a matter of time before tragedy struck: today, a hiker died while climbing on Suicide cliff. It should however be emphasized, that while too many people come to suicide cliff, the hiker who died today was with a group of 12 and was attempting the very challenging climb from the Jat’s Incline side. Very steep, and often described as the most difficult side of the climb, Jat’s incline side is also the location of several helicopter rescues in the past few months. The jat’s incline route is described as extremely steep and it seems hikers do lose their way around this place. 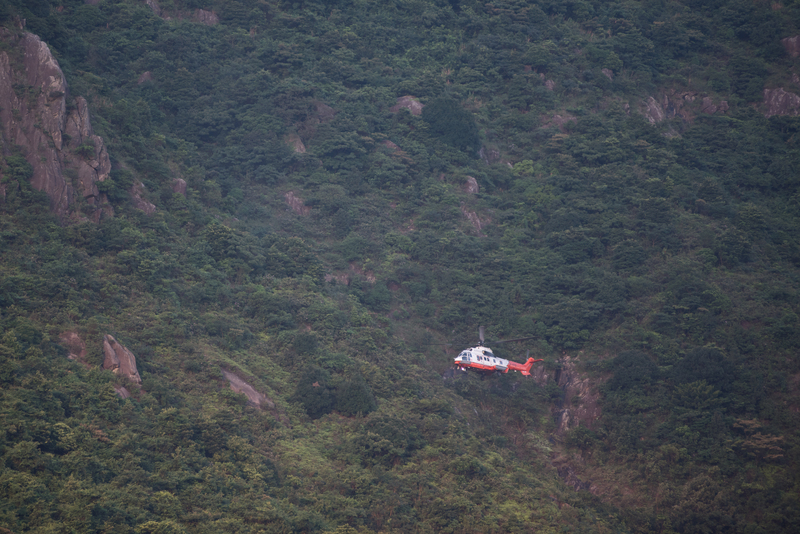 You can see a rope dangling from the helicopter as they pull hikers to safety. This location is exactly where the night rescue happened a few months thereafter. 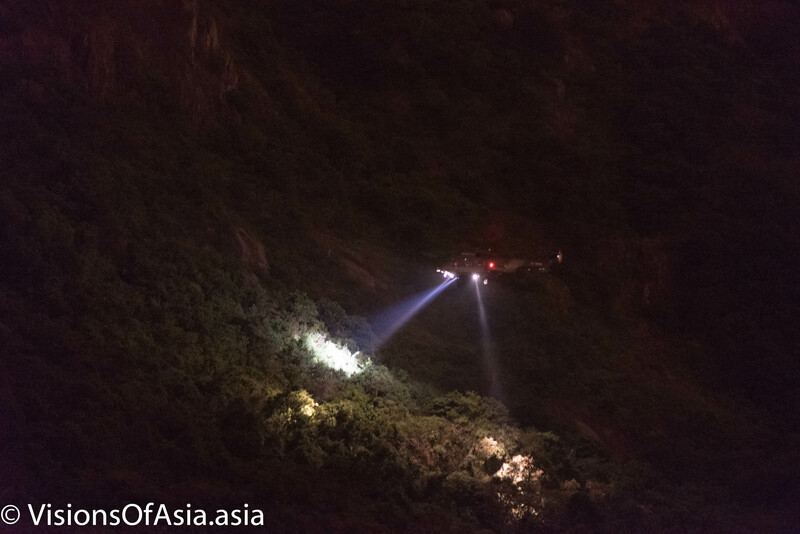 On 26 November 2017, at almost midnight the GFS rescues hikers stranded on Kowloon Peak. For some reason, Suicide cliff has gained a lot of notoriety with people posting their spectacular pictures on social media. Nevertheless, hikers should never forget that suicide cliff and Kowloon Peak, more generally, is still a mountain. As such, hikers should always show respect. Another part of the problem is the general overconfidence of hikers. When taking such technical paths, speed should never be a priority. Safety should be, instead. Are hiking groups a false security? A classic recommendation for hikers is to hike in a group. 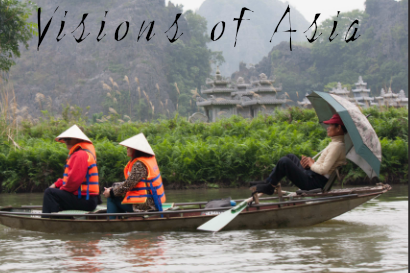 I can second that, in the sense that I once lost my way in Thailand, and ended on the wrong side of a cliff… I had then to go down the whole mountain by myself. I survived the experience, but collected some cactus thorns for that. Nevertheless, in Hong Kong, except for those beginner hikes, people take a hike just as they take life: as something to be completed at 100 kph! In that respect, a hiking group adopting a driven attitude may often take away the benefits of hiking in group. The peer pressure might induce weaker hikers to advance too fast and compromise footing or balance. In short, we must respect the mountain, take our time, and accept that there is an element of risk in this process.